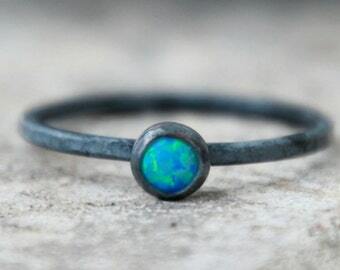 This listing is for ONE (1) 4mm gold-filled ring. 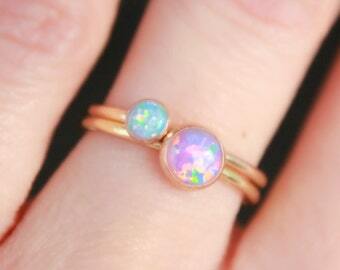 ~4mm opals in 25 delicious colors! 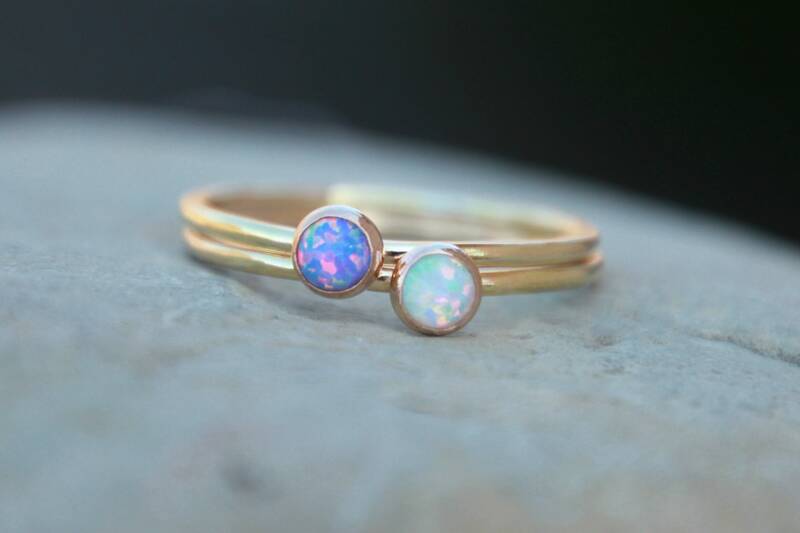 These bright, beautiful opals are very fiery with a great sparkle! ♥Each 1.3mm band is made using 14K yellow gold-filled. 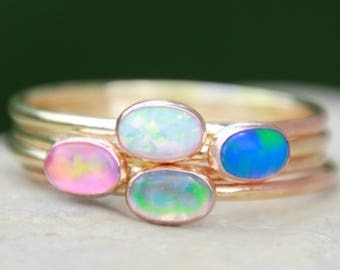 I hand forge each band, fuse them together, solder on the 4mm 14K yellow gold-filled bezel cup, then put them in my tumbler for a high shine, which also makes them stronger! *Your choice of hammered or smooth bands. Please see 1st photo. ♥♥♥FOR ORDERING MULTIPLE RINGS♥♥♥: Please make your selections in the drop down boxes, click the 'add to cart' button, then return back to the listing to make your next selection. Once you have the desired amount of rings in your cart, proceed to checkout. Etsy will automatically combine shipping. If you have any questions, please feel free to message me. I am happy to answer any questions!